Rohani’s European tour has already taken him to Italy and the Vatican. While in France he will be received by François Hollande at the Élysée Palace and will sign trade deals and memoranda that will help boost profits for French and Iranian capitalists. As in Italy, the general repression in Iran and the severe measures taken against labour activists and the left will not be discussed. It is clear that the improvement in diplomatic and trade relations between the capitalists of Iran and Europe comes at the expense of Iranian workers’ rights. 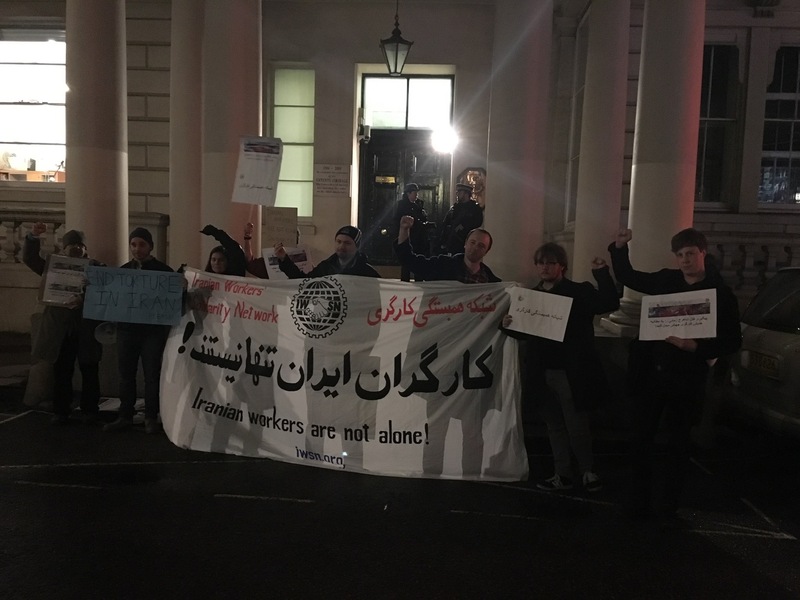 The demonstrators unfurled the banner of ‘Iranian Workers Are Not Alone’ outside the embassy and chanted slogans in support of all imprisoned workers in Iran. They also demanded that the suspicious death of Shahrokh Zamani be investigated independently. Their placards called for freeing all jailed workers and political prisoners, for workers to have the right to organise and to go on strike. 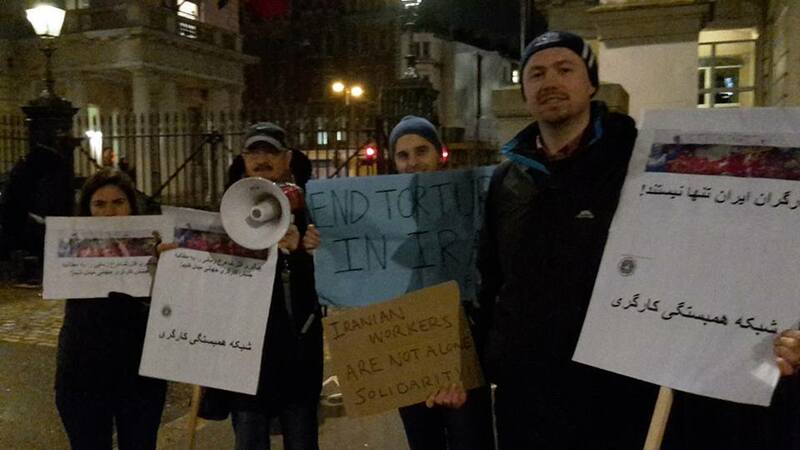 The protesters included comrades from Alliance for Workers’ Liberty and Iranian Workers’ Solidarity Network. We thank all picketers for helping us to publicise the struggles of Iranian workers and showing their solidarity with the recent upsurge in protests and strikes.